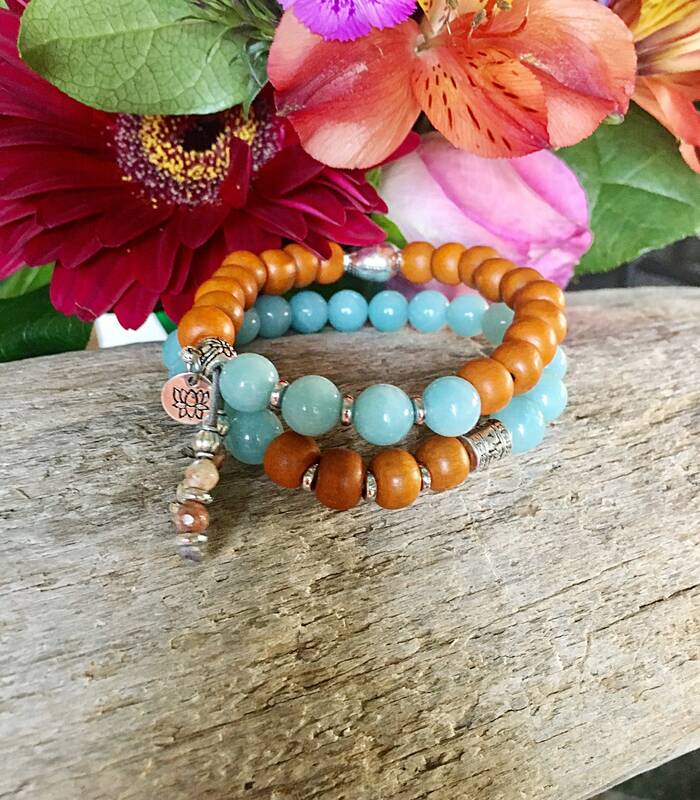 The Magical Mala Bracelet Set features two stack bracelets made of authentic handmade sandalwood beads from India, genuine high grade blue Amazonite and tiny faceted Picture Jasper gemstones, along with a Tibetan silver reversible Buddha head and mini antique silver tone lotus charm to offer protection, clarity and tranquility. 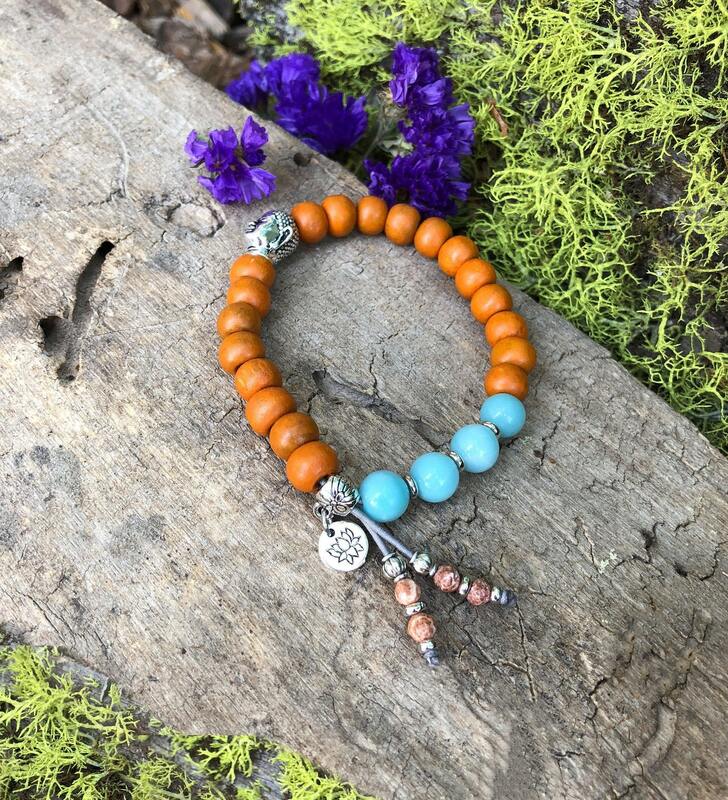 Sandalwood is one of the most valuable woods in the world, used in Buddhist culture for thousands of years. 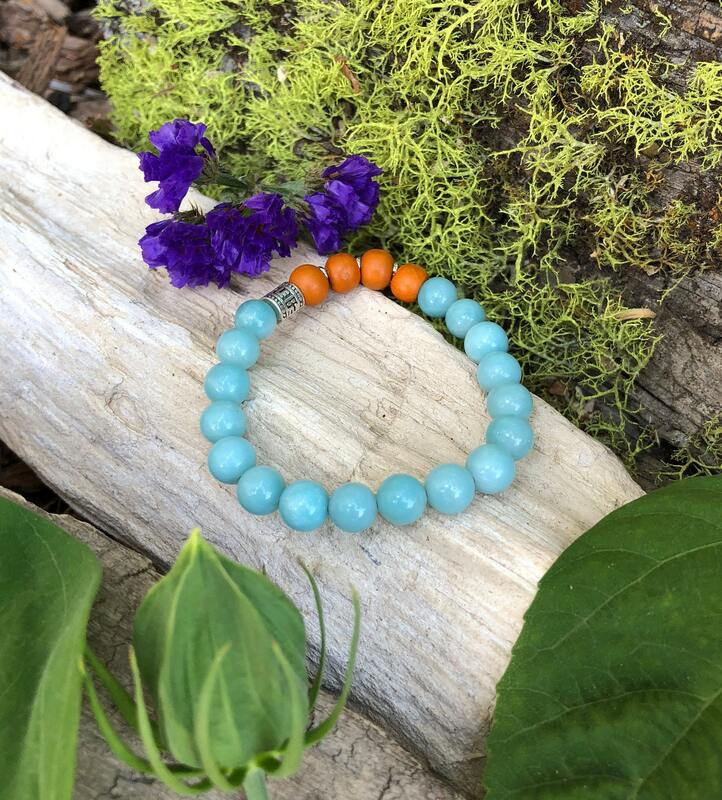 It is believed to have a magical power that offers protection, enhances meditation and increases clarity. Sandalwood stimulates the root chakra to infuse a feeling of safety and tranquility, and to enhance self-esteem and self-identity. In the Ayurvedic healing tradition, it promotes success, energy and enthusiasm, increasing a person's zest for life. 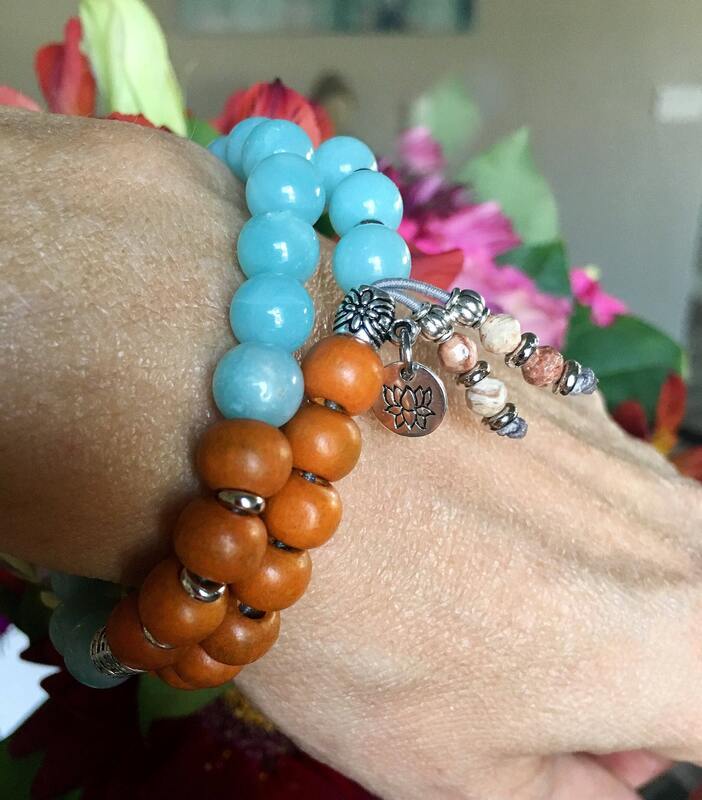 High grade gemstones and orange-dyed sandalwood on strong elastic stretch cord. One size fits most wrists. Custom sizing is available.